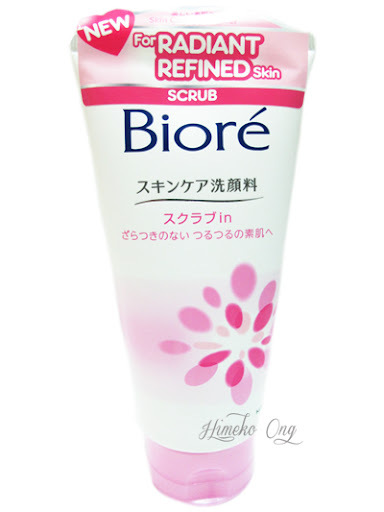 New and improved Biore is in! This category of product has got to be one of my favourites when it comes to skincare products because it is just so indispensable! Finally, this product has hit our sunny shores! Isn't it just so adorable of EK Media for sending me this product together with the bowl? Well there's a reason for the items that were sent along with the product itself - the bowl represents hydration while the lemon represents the citrus extract used in the sunscreen. Do you know that this product is the Number one sunscreen in Japan since 2011? 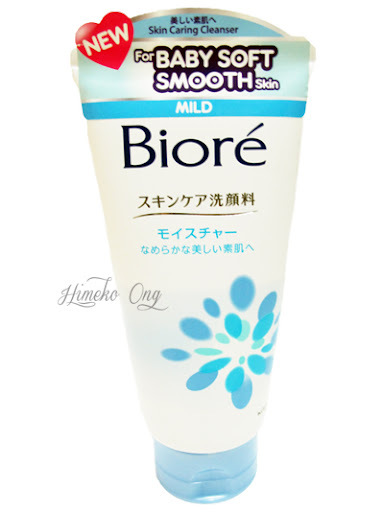 The Biore UV Watery Essence is of a water based formula and provides protection to SPF 50+ PA+++, providing high protection for our skin without making our skin feel burdened with product. That's because this product contains citrus extract which, together with hyaluronic acid, helps to hydrate and soften our skin. Seeing all these Japanese words make me feel happy. Fret not, of course they have the English version for us Singaporeans! So what do I think of this product after using it for a week? This product is slightly different from the usual sunblock/ sunscreen I've used as it comes in a cream texture. At first I was skeptical and afraid it might be harder to be absorbed and leave a white overcast but my fears were all for nothing. 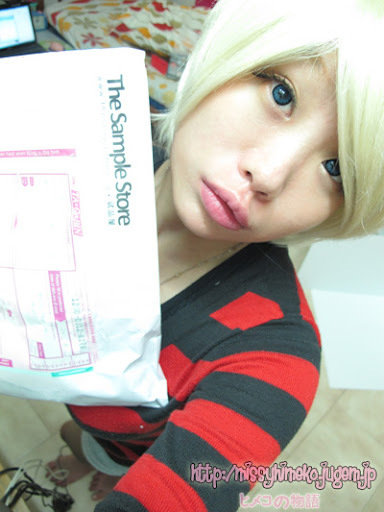 The product was absorbed by my skin effortlessly and did not leave any white overcast at all. Best of all, it felt so light on my skin, it is like it isn't even there! Well, it isn't liked by Japanese for no reason! I've been really liking my sunblocks/ sunscreens lately, they all perform so well and exceed my expectations. It just keeps getting better and better! You can find this product in hypermarkets, supermarkets, pharmacies [drugstores like Watsons and Guardian] islandwide at SGD $18.90/ tube of 50ml. Go grab one for yourself today! Sorry for the delay in this review. I was supposed to submit this during the period when I was in Japan so I requested for an extended grace but then I slumped into a post holiday plus upcoming exams depression topped with blog template problems so I delayed till this late! Cut the chase, let's get started right away! 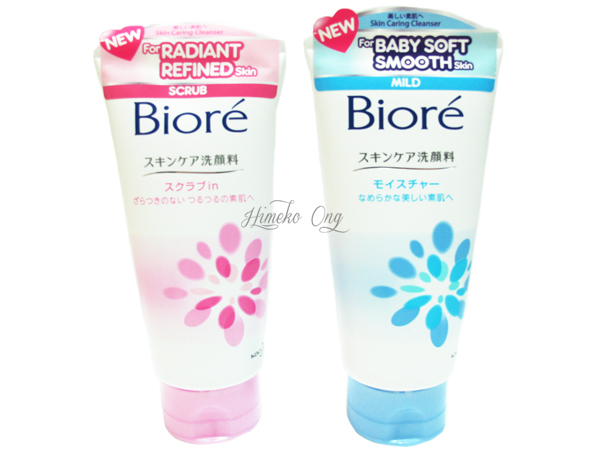 That's right, as the title suggest, I will be talking about the new products from Biore. I was given a choice of what type of facial foam I preferred so I chose the mild one. While it is a product which can lather easily, I cannot stand for that claim in my review as I do not lather my facial cleansers, ever. Then, the lazy me will let the Mia 2 do its job for the next minute. At the end of the cycle, I did see the brush of my Mia 2 looking pretty foamy though. 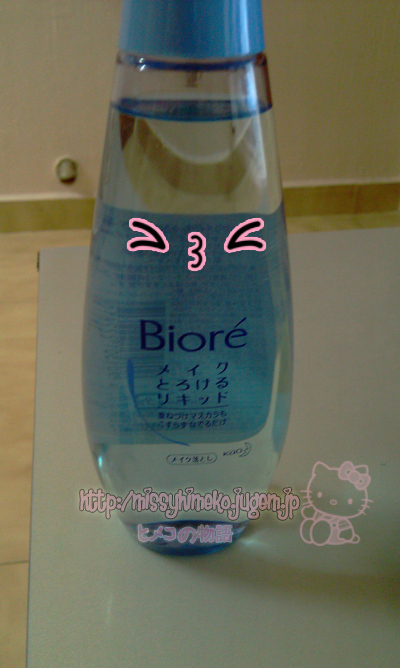 So... what do I think about the Biore Mild Facial Foam? I felt that the claims it made were simple and straightforward - back to the basics as to what cleansers should do. Therefore, it did a good job at fulfilling its claims too. My skin feels more supple and smoother immediately after wash and does not make my skin feel tight/overly dried out after rinse. 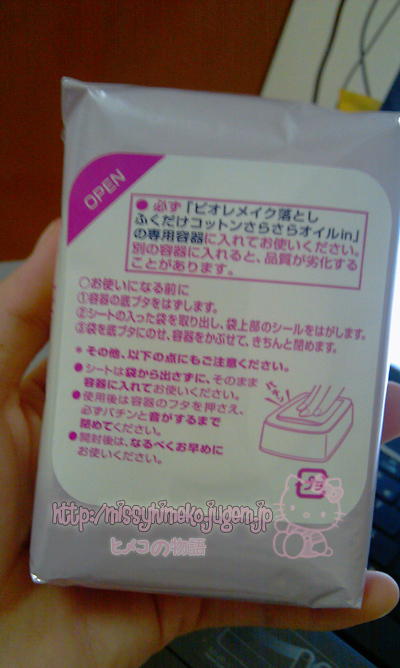 Oh, I also noted that the scent is not that strong in this cleanser. I will give this an 8/10. Next, we have the scrub. See those little pink beads? Well, they are not the kind of beads in scrubs that will cause slight abrasive when in contact with your skin. I actually couldn't feel them at all. Now, my verdict. I like how the scrub is really gentle on my skin. After using the Mild Facial Foam, I thought this scrub will not be able to make my skin feel any smoother than it already was but it did! Considering how gentle it felt on my skin, I really wasn't expecting it to exfoliate that well! I will give this a 9/10, had to take a point off for the fairly strong scent. I don't hate the scent but I thought some of you might. I've been using these products for about a week now (Biore Facial Foam - Mild for 7 days while Scrub for just 2 days as I use scrub once every 3 days) and here's the latest condition of my bare face (left cheek) before cleansing. You can actually see the immediate effect on brightening from the pictures above. 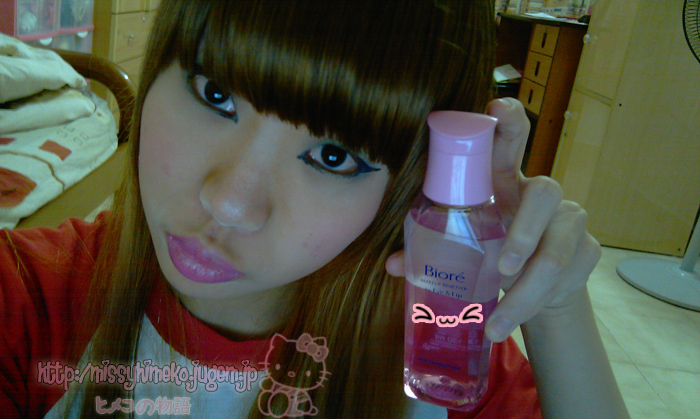 Will I repurchase these products again? 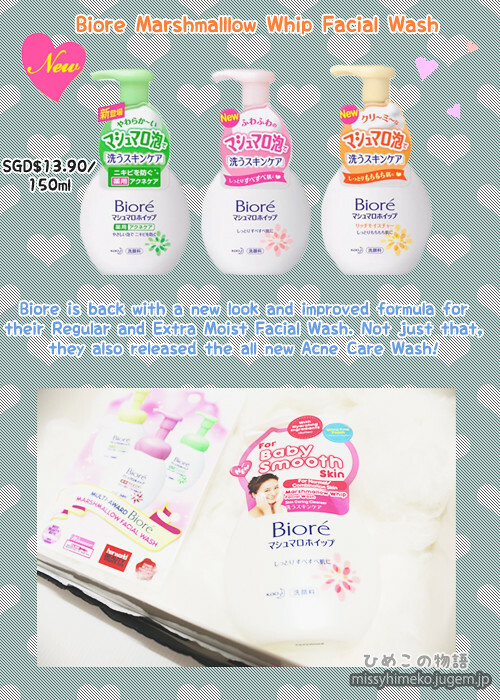 However, if you are looking for a new gentle cleanser that does a good job at an economical price, I definitely will recommend you to go for Biore's new facial foams! Get your silky smooth skin now! I received some love 2 weeks ago! 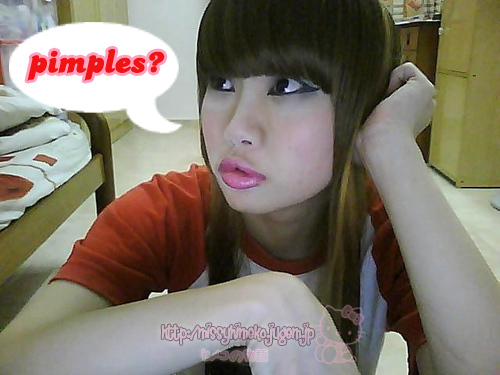 From none other than The Sample Store! 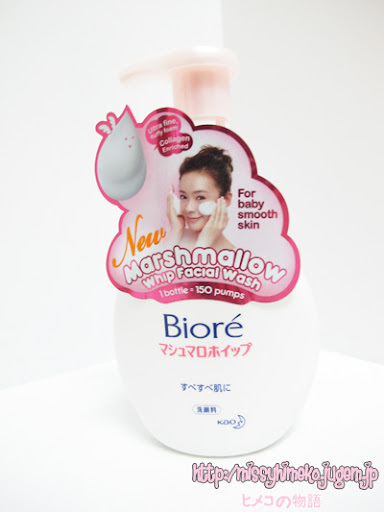 The new Biore Marshmallow Whip Facial Wash! The staff will give a complimentary foaming net upon purchase. Why do they give you a foaming net and not tell you to just rub the soap on your face? That's because foam allows us to clean our face "better!" What do I mean by "better?" Assuming you are 60cm wide all round, the door in front of you is just 20cm wide. How are you going to pass that door? It's the same for our skin! than our pores, thus able to penetrate deeply and clean all the dirt inside. and foam it up yourself. smooth and bouncy and has very small bubbles. when you use a foaming net, the foam is inconsistent. bottle, ready to be pump out for use? Pump it out from the bottle while keeping the bottle on a flat surface. There you have it! 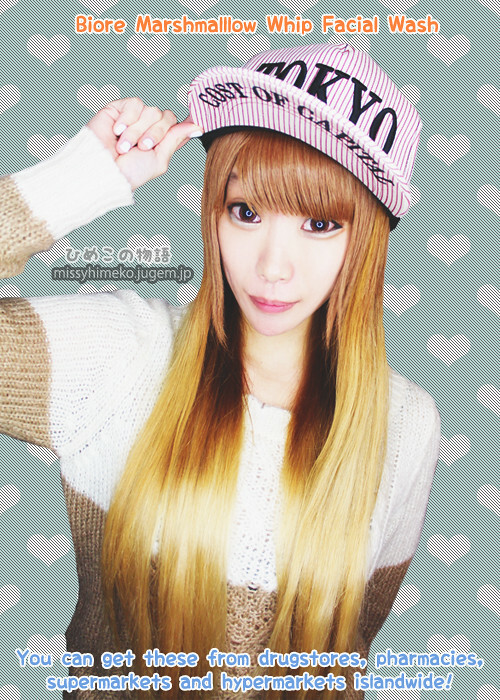 Good foam! Remember what I said about Good foam? 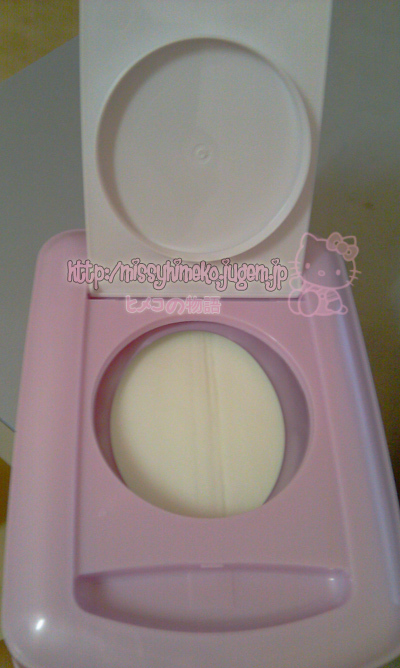 Facial Wash ultra fine foam is less than 200 microns [size of pore]! 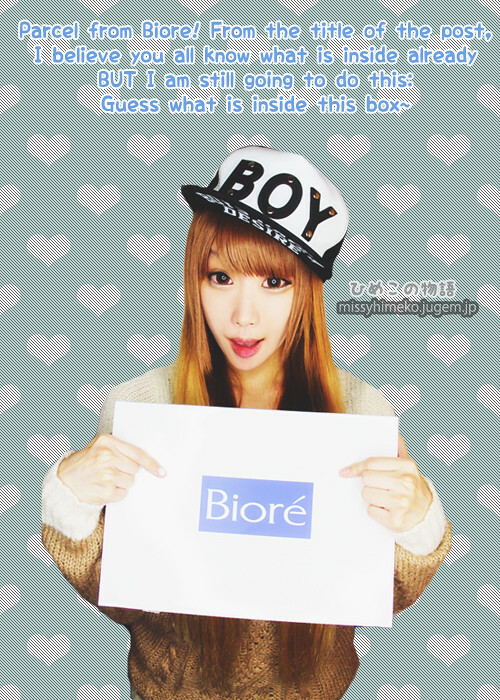 What's more, it is enriched with Collagen (+ point) which moisturize our face! Not to forget, collagen is also an important component for skin cell to repair. The foam is super soft! 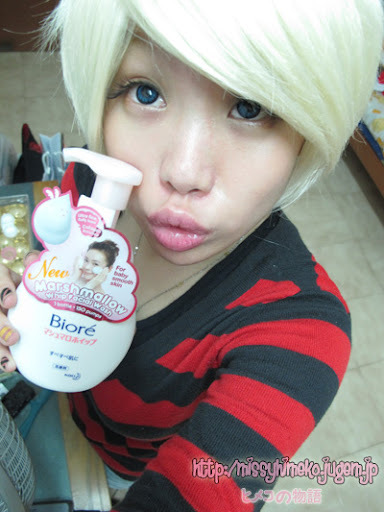 It does not leave skin feeling tight after wash too! I wanted to give it a 4/5 but decided on 4.5/5 because of the pump! Click "Ok" and start the game! 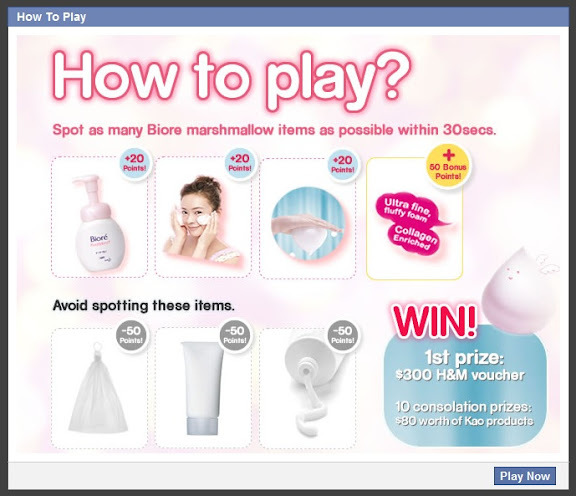 I'm still trying my best to grab that $300 voucher! "Why, why, WHY do I have to remove the make up!" Ever felt that way like me? D. Enjoying the process of putting on makeup. E. Whatever reason there is. Well, I know I almost always feel that way! 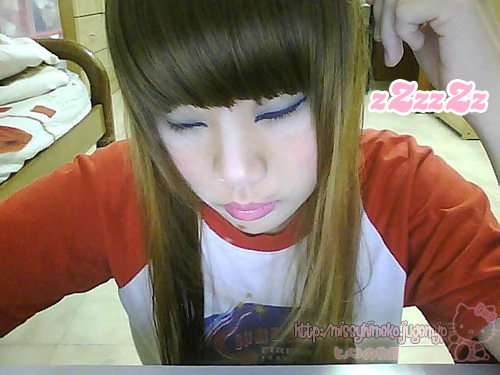 I came home with full make up, too tired and move a muscle. 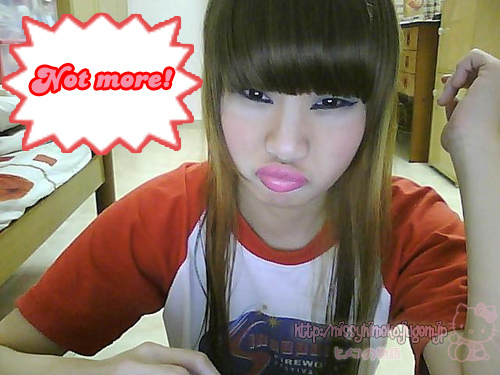 I am so tired that I want to *plok* on my bed and sleep! Can I just sleep without removing them? 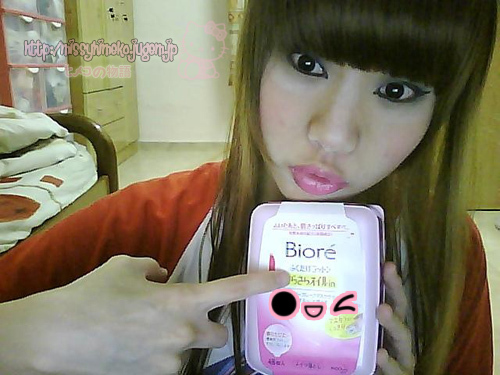 I can use the Biore sheets! 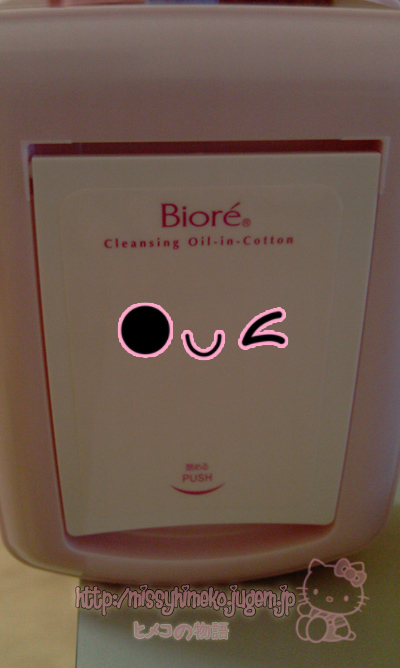 A closer look into the Biore Cleansing Oil-in-cotton! 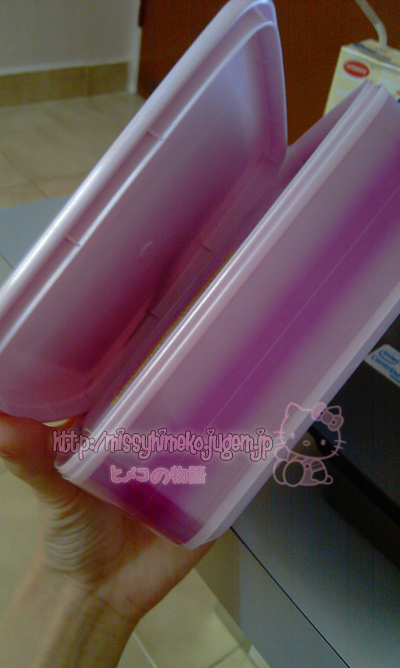 How the refill pack looks like! 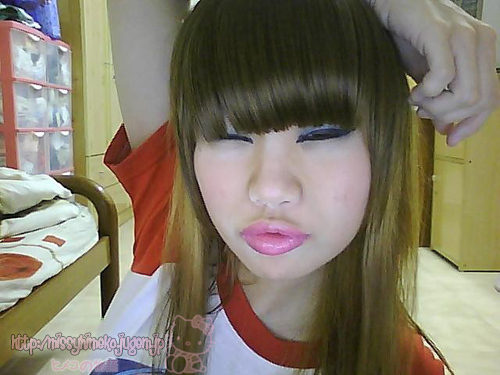 Using the sheets, I managed to remove everything on my face! 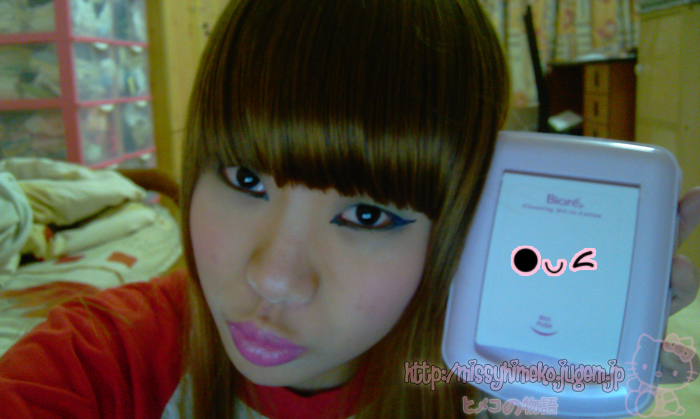 Blush, foundation, gel liner, liquid liner, etc. Even stubborn water proof mascara! It does not sting my face after use nor leave me with a very oily feeling on my face. Refer to video at the end of entry! 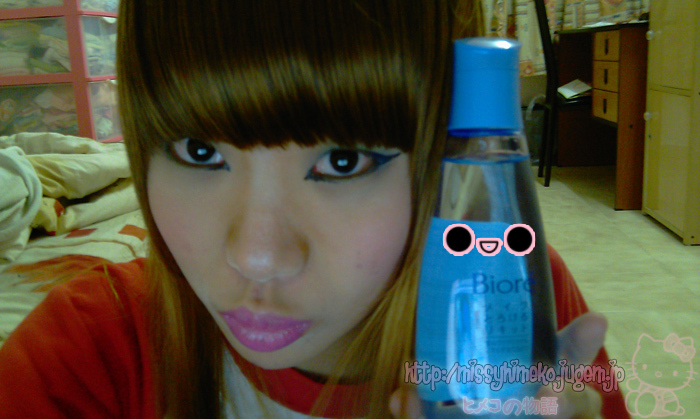 This ia an awesome water based make up remover! I like how gentle it is. yours truly and yes, it really works like a charm! 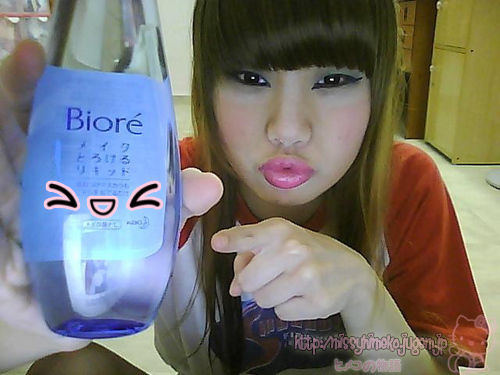 felt that the furthest a water based makeup remover can do is just eyeliner. But what do you know, it did as it claimed! 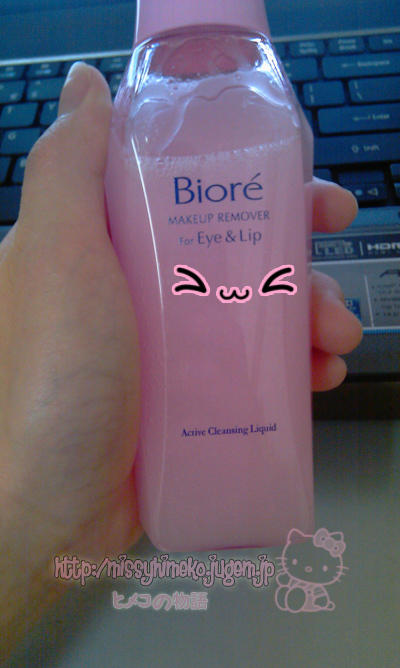 remover to get rid of it and I often fall asleep after using make up remover. Leaving oil based remover on your face is definitely not smart. Thank god for this great product! 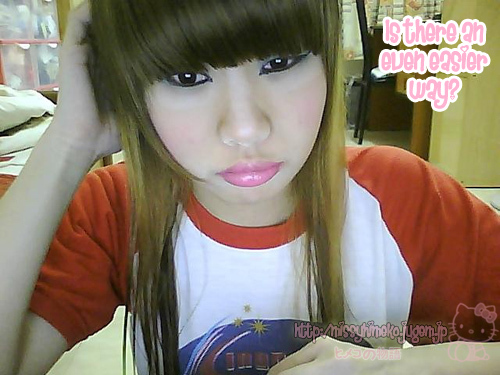 Sleep right after my makeup is removed! 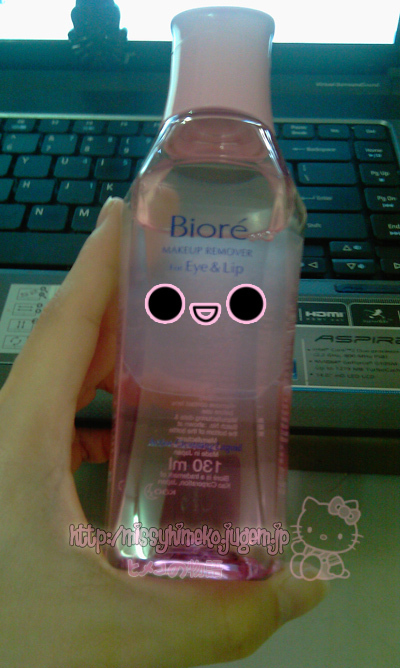 Not to forget, there is also the oil based eye & lip remover! Shake it to mix well for use! The Remover works just as it should! Lip concealer, gloss; no sweat! 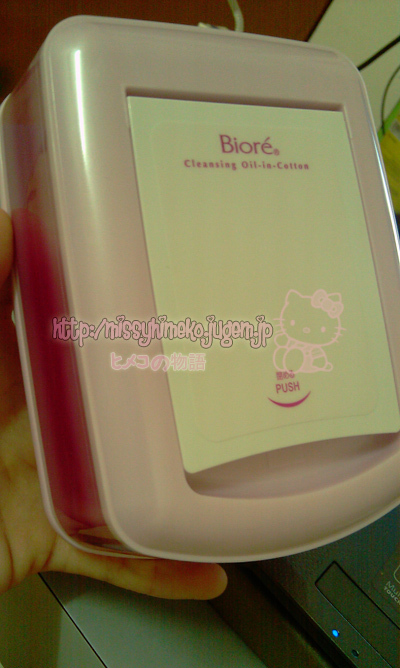 It is gentle and does not have the oily feeling lingering on my skin! Just a gentle swipe and much comes off! Now we don't have to worry about the hassle or make up removing anymore! 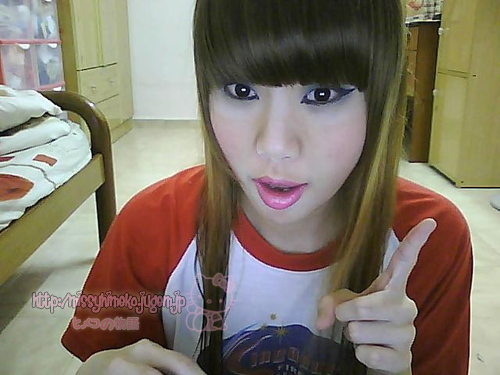 Lastly, a video of me using the products. This is to strengthen my claims!